Most people do not feel like holding a paddle or being on the water after the grueling 220km SUP Eleven City Tour. Not so Mr. Endurance Bart de Zwart. He flew straight to Canada from Holland for another insane 220k endurance challenge race, which he won. Here is a video of the Columbia Gorge Paddle Challenge 2015 in Hood River. The event was overshadowed by the death of Andres Pombo who fell off his board during a training run and was later found dead. Much has been written about that. All we have to say is “Leashes save lives”. After a few warm and “easy” years, the 2015 SUP 11 City Tour was back to it cold, rainy, windy self in 2015. The athletes faced headwinds of 20-30knots, heavy rain and temperatures that were often below 15°C. The infamous 3 lakes were once again more like oceans than lakes. I suppose that is why the Slotenmeer is called Slotenmeer and not Slotenlake (“Meer” means “ocean”). 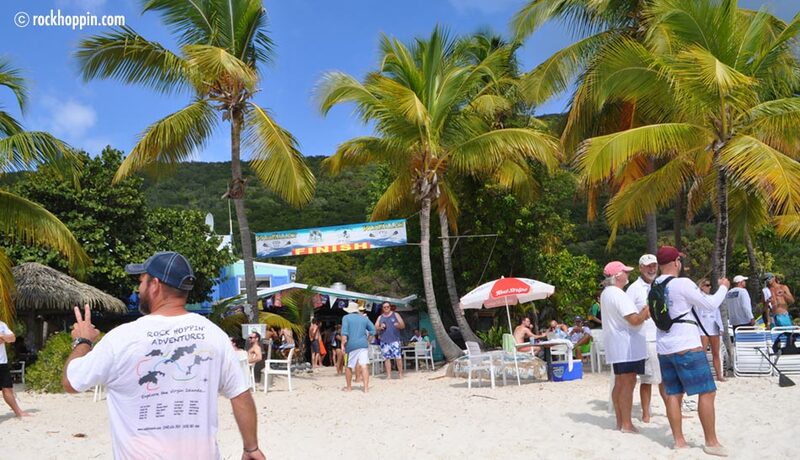 The 2015 Painkiller Cup took place last Saturday, January 17th in the British Virgin Islands. It is a 14 mile downwind race from Beef Island, Tortola to infamous Soggy Dollar Bar (which takes it’s name from the sailors swimming ashore – since there is no dock – to spend wet bills) on Jost van Dyke. 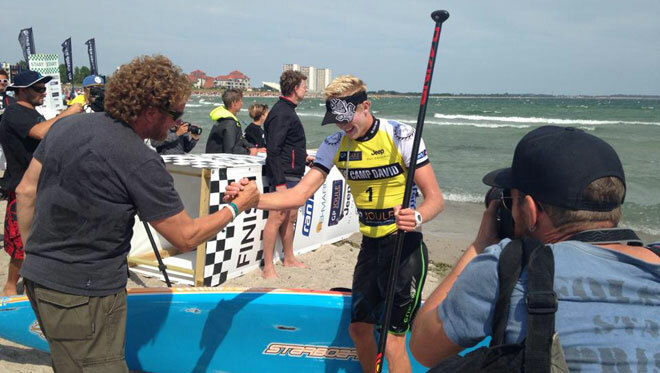 Kai Lenny (Naish) manages to edge to victory today in the World Series Sprint Racing in a familiar battle to the bitter end with friend and adversary, Connor Baxter (Starboard). Last weekend the M2M race took place on Hawaii, it is a 42.8km (27 mile) downwind race across the channel from Maui to Molokai. It is kind of a form check for the upcoming M20 race. Connor Baxter won it for the 5th time in a row, followed by Kai Lenny and Dave Kalama (all unlimited). His time was 3 hours and 4 minutes – only 9 minutes off his official record time (2 hours 55 minutes) which is great considering the conditions were not as epic this year.